The Milwaukee Brewers traded veteran closer Francisco Rodriguez to the Detroit Tigers for 20-year-old minor-league infielder Javier Betancourt and a player to be named later. Rodriguez is signed through next season and the Tigers will have a club option for 2017. He is set to earn $5.5 million this coming season. 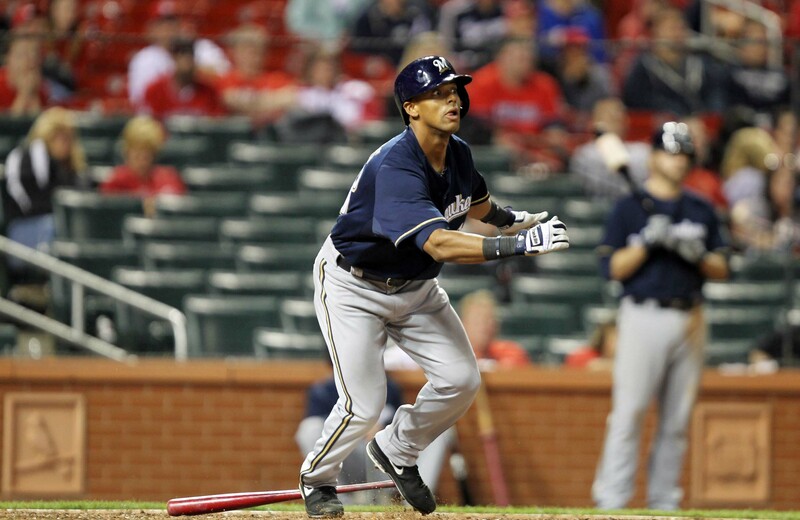 Khris Davis clubbed his 24th home run of the season, a ninth-inning blast off of St. Louis closer Trevor Rosenthal, leading the Milwaukee Brewers to a 4-3 win over the Cardinals at Busch Stadium in St. Louis on Friday night. Davis atoned for a fourth inning base running gaffe when he forgot how many outs there were and ran into a double play to thwart a rally. 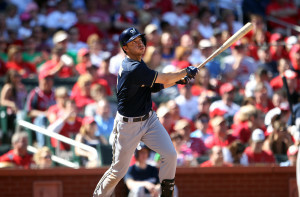 The Brewers ended a four-game losing streak against St. Louis. Zach Davies blanked the Chicago Cubs on just two hits over six innings to help the Milwaukee Brewers end a nine-game losing streak with a 4-1 victory in the series finale at Wrigley Field. Jorge Soler homered for the Cubs only run as Chicago lost for just the second time in the last nine games. Davies allowed a pair of second inning singles, walked one and struck out four to even his record at 2-2 in his fifth start. Francisco Rodriguez worked the ninth to record his 35th save in 37 chances. Cubs starter Kyle Hendricks (7-7) retired the first 14 hitters until Jean Segura finally reached in the fifth when he legged out an infield single and scored on Luis Sardinas’ hit. Logan Schafer’s run-scoring single in the 13th inning gave the Milwaukee Brewers a 6-4 win over the Pittsburgh Pirates at PNC Park. It was Milwaukee’s seventh straight win over the Pirates, who still hold the National League’s top Wild Card by two-and-a-half games. The Brewers jumped out to an early 3-0 lead in the first inning, hi-lighted by Khris Davis’ 19th home run of the season. That lead would last until the eighth inning, when Andrew McCutcheon tied it with a three-run homer. In the 12th, Ryan Braun gave the Brewers the lead with an R-B-I single, but Gregory Polanco tied it again with a solo shot off of Francisco Rodriguez. It’s the second blown save of the season for Rodriguez. In the 13th, Brewers’ catcher Nevin Ashley struck out but reached base on a wild pitch from Radhames Liz. Ashley later scored the game-winning run on Schafer’s hit. Rodriguez (1-3) wound up getting the win. Former starter Kyle Lohse earned just the second save of his 15-year career. The Brewers send Jimmy Nelson (11-11, 3.86 E-R-A) to the mound in game two of the series tonight. Charlie Morton (8-7, 4.07 E-R-A) pitches for the Pirates. 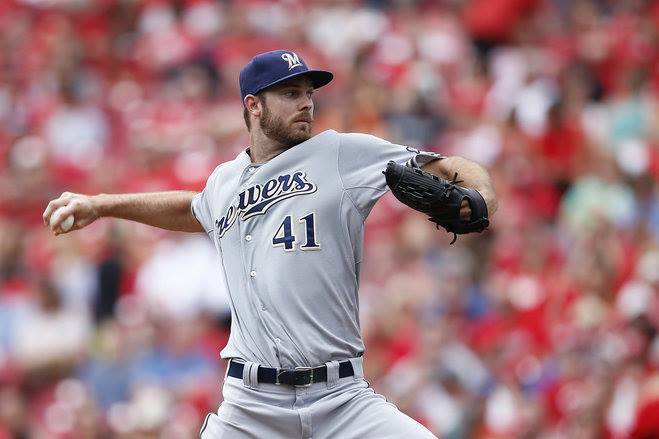 Taylor Jungmann allowed a run on three hits in six solid innings of work to lead the Milwaukee Brewers to a 5-3 win over the Pittsburgh Pirates at Miller Park. 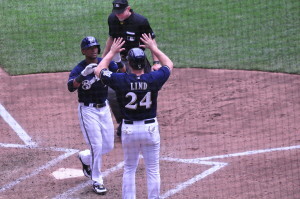 The Brewers swept the three game series and have won six straight against the Pirates. 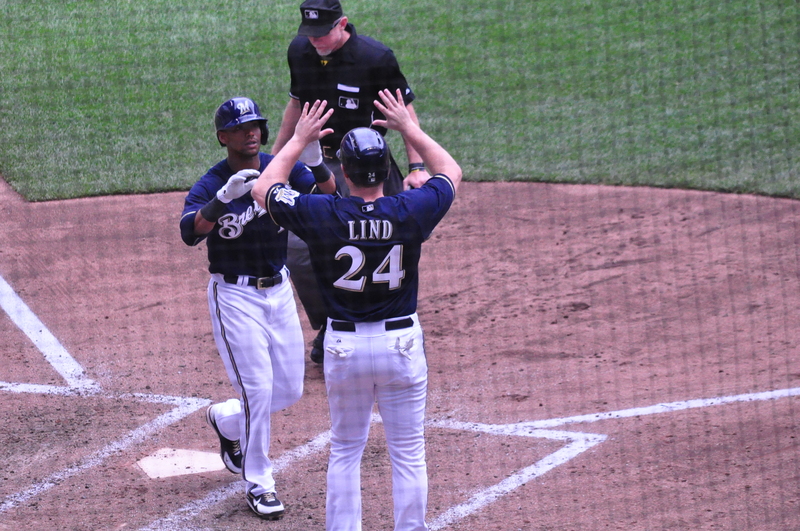 Domingo Santana homered for the Brewers, who outscored the Pirates 39-18 during the 6-game streak. Jungmann (9-5) improved to 3-0 against the Pirates with a 1.35 E-R-A in 20-innings. Khris Davis gave the Brewers a 2-1 lead in the fifth with an R-B-I double. They added tow more runs in the sixth on a Hernan Perez triple. Then with the Brewers in front 4-3, Santana led off the 8th with a home run to right. Francisco Liriano (9-7) took the loss. Francisco Rodriguez notched his 33rd save. The Brewers open a three-game weekend series at Cincinnati tonight. Jimmy Nelson continued his dominance of the Pittsburgh Pirates, leading the Milwaukee Brewers to a 7-4 win a t Miller Park last night. Nelson (11-10, 3.70 ERA) held the Pirates to a run on four hits in seven innings and improved to 4-1 with a 1.72 ERA against the Pirates this season. 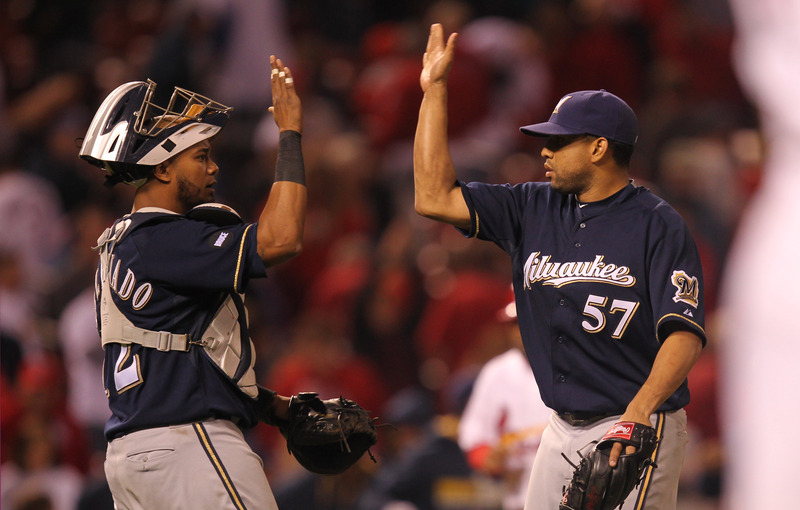 The Brewers improved to 5-2 against the Pirates at Miller Park this season and 59-17 at home since 2007. It was a big turn-around for Nelson, who walked eight in just 3 1/3 innings against the Cleveland Indians last time out. Last night, Nelson issued just one walk. He pounded the strike zone, throwing 72 of 101 pitches for strikes. Nelson was comforted with the Brewers offensive support. They scored four runs in the first inning and added another run in the second to give Nelson a five-run cushion. The Pirates kept the Brewers in check until the 8th when Jean Segura singled in two insurance runs. Pittsburgh then went to work in the 9th, getting home runs from Aramis Ramirez and Jung Ho Kang. Neil Walker followed with a double when Manager Craig Counsell went to the bullpen. Francisco Rodriguez came on with two outs in the ninth, in a save situation. He threw one pitch, a fly ball out, to lock down his 32nd save in 33 opportunities. Following one of his worst outings of the year, Milwaukee Brewers right hander followed with one of his best on Sunday. Peralta pitched seven strong innings, allowing a run on seven hits to lead the Brewers to a 4-1 win over the Cincinnati Reds at Miller Park. Peralta (5-8) worked just 2 2/3 innings in his last outing against the Cleveland Indians last Tuesday. Ryan Braun clubbed his 24th home run of the season and Jonathan Lucroy drove in a pair of runs, while extending his hitting streak to eight straight games. 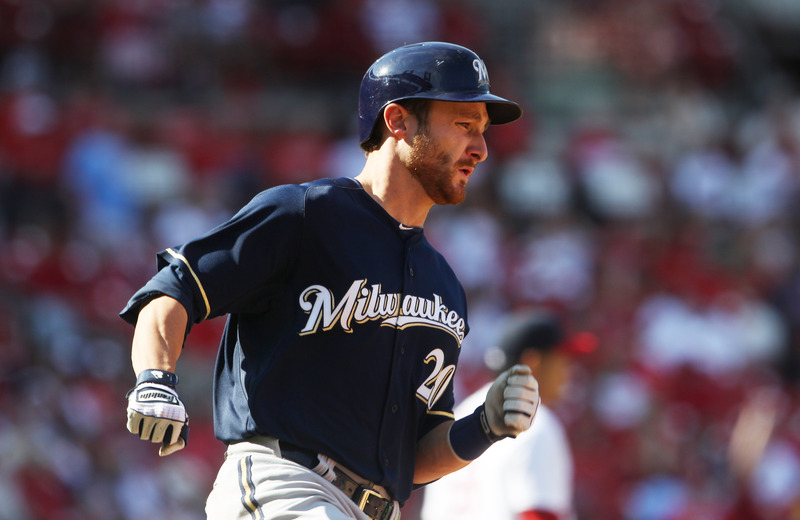 Lucroy singled in a run in the third, then added an insurance run in the eighth with a sacrifice fly. Francisco Rodriguez, after his first blown save of the season on Saturday night, needed just eight pitches to retire the Reds in the 9th. It’s the 31st save of the season for Rodriguez. The Milwaukee Brewers salvaged the final game of their series with the Miami Marlins and they did it via the home run ball. Ryan Braun clubbed his 252nd career home run, surpassing Robin Yount to become the franchise’s all-time leader and Khris Davis homered twice to help the Brewers pull out a 8-7 victory over the Marlins. Davis has now hit two home runs in a single game for the fifth time in his career and fourth time this season. Braun’s record breaker came off of former Brewers starter Chris Narveson, a 2-1 pitch that sailed over the fence in right field. It’s his 22nd home run of the season. 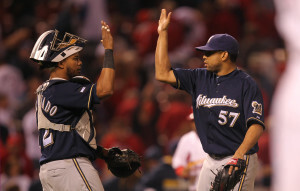 Wily Peralta (4-7) struggled through five innings but left with the lead and picked up the win. Corey Knebel, Will Smith and Jeremy Jeffress held Miami in check until the ninth when the Brewers called on closer Francisco Rodriguez to mop up. K-Rod did surrender a two-out home run to Marcell Ozuna but struck out former Brewer Casey McGehee to move past Joe Nathan and into sole possession of seventh place on the all-time saves list with 378. Rodriguez earned his 30th save of the season in 30 tries and 35th in a row, dating back to last season. The Brewers take the day off on Thursday and return to action on Friday night.